A gorgeous gently arched headboard makes the Kiley full bed a beautiful piece. Silver nailhead trim on the upholstery draws the attention in. 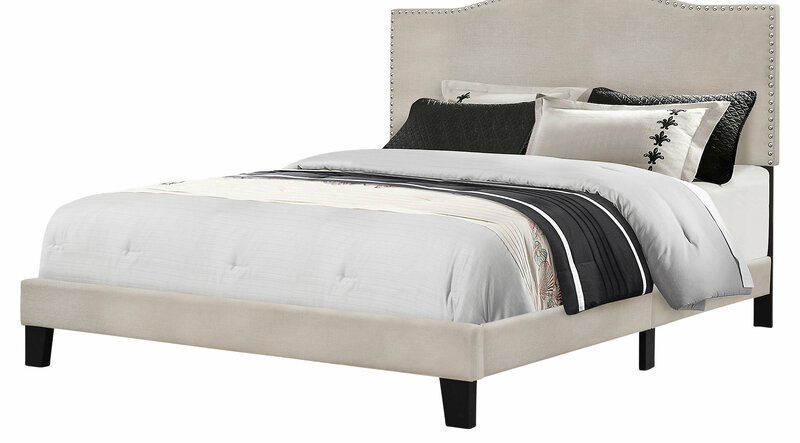 The low-profile matching upholstered side rails and foot rails complete the bed. The Kiley bed is excellent for any bedroom and with its transitional style, it can go with almost any decor.